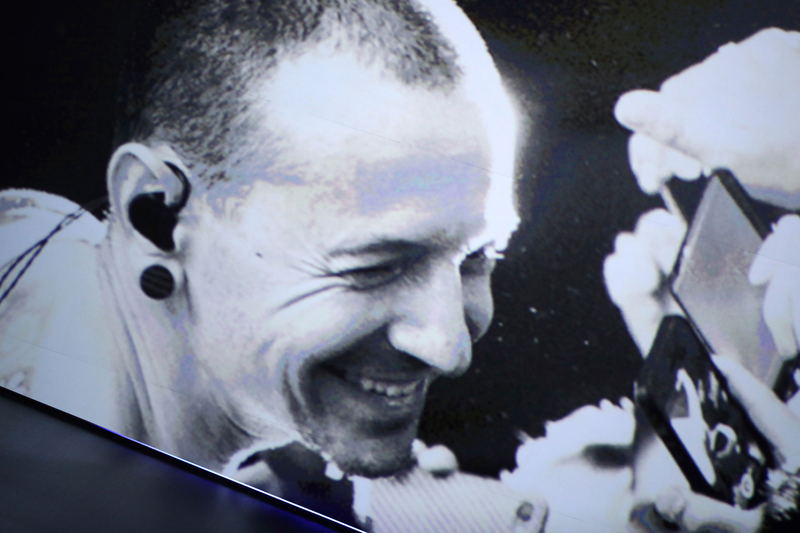 The 30 Seconds To Mars frontman remembered the Linkin park singer at the LA ceremony. Jared Leto paid tribute to Chester Bennington at the MTV Video Music Awards on Sunday (27 August). He said: "Witnessing his life taught me important things, especially about working relentlessly, pursuing dreams and being kind and caring while doing it. "When I think about him, Chester, I see his face, which was always smiling, and I think about his heart, which he wore on his sleeve, and I think how kindly he treated me... I think about his wife and his six incredible children." "I think about his family, I think about his band, who were really his brothers, and I remember his voice - at once ferocious and delicate - that voice will live forever." He said: "If there is anyone out there who is watching this tonight who feels like there is no hope, hear me now: You are not alone. There is always a way forward. Reach out, share your thoughts, do not give up." Last month, Leto had paid tribute to the late singer at a 30 Seconds To Mars show in New York. There was some controversy, however, as when Leto asked the audience to stand and remember Bennington, the MTV network then cut to a commercial break. Jared said wonderful things. But everyone, including me, is livid on how they cut off not only performers, but Chester's tribute. Honestly I'm so mad they cut off Jared Leto's tribute to Chester & Chris at the VMAs. They're way more important than a commercial break.